How do you market a musical? How do you tell the story of a life changing narrative? 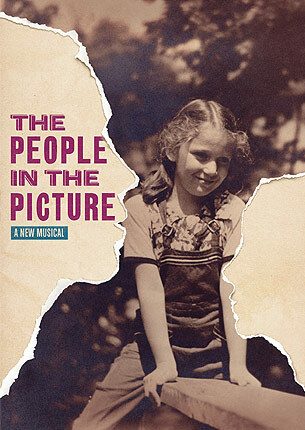 Here is a case-study-in-progress, the new musical The People In The Picture. I say in-progress because the musical is opening on Thursday, April 28. Marketing a completely new musical on Broadway is an ambitious undertaking. Most musicals are revivals or based on an already established movie or novel. Hairspray? It was a John Waters movie before the musical (and in full circle became a movie again). Wicked? It was a big best selling book based on well-known characters immortalized in a movie (c.f. Oz, Wizard of). American Idiot? Green Days’ version of Beatlemania or Mamma Mia. The Addams Family? The cartoons, the tv show, the movies, but of course always the incomparable cartoons. The reason so many shows are revivals or brand-extensions is that they remove some of the risk involved. A general rule of thumb on Broadway is that only 30% of shows actually make back their original investment. Some shows you know will never, ever, make back their investment (we will NOT mention the musical based on a famous comic book character with songs by Bono). 1. Build an audience for an unknown show. Also known as Audience Development. 2. Reduce the risk that the average audience member feels when buying a ticket. For most people Broadway is a big treat, more expensive than a movie. 3. 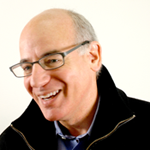 Reduce the risk of the producers who need to maximize their limited marketing budgets. An easy entry point is the name, The People In The Picture. The name immediately conjures up an instinctual, universal behavior. Everyone can identify with it. Show me a person who hasn’t shown a picture of a family member, a child, a friend, as part of a story and I’ll show you a person who is lonely and sad. Maybe we don’t show physical prints as much anymore, but certainly on our iPhones and Blackberrys we have pictures of our last vacation or our kids playing soccer. The name goes deeper. Pictures allow us to travel in time, emotionally if not physically. Like the pictures in the Harry Potter movies, in our mind’s eye we can see the people come alive. In this musical the people step out of the picture and the past comes alive, with the exuberance and tuml of life lived to the fullest. [Tuml being the Yiddish for noise, or tumult]. Roundabout is a subscription theater, so there is already a built-in audience. It is important to have this base to work from, a cost-effective way of getting people into the theater to experience the show themselves. Another factor is that this musical has real star power going for it. This is where PR does best. It’s the buzz factor. Can this generate gossip? So you’ll see many interviews with the team, from the amazing actress Donna Murphy or byline pieces by her. To Iris Rainer Dart, who has been a TV comedy writer, novelist and screenwriter with major hits such as Beaches. To the composers Mike Stoller — yes, that Mike Stoller of Hound Dog fame — and Artie Butler: two more talented composers working on Broadway you’ll not likely find today. You’ll hear word of mouth, such as the Penn Club event on April 4th when Todd Haimes, artistic director of the Roundabout couldn’t contain his enthusiasm for the musical, while sitting on a panel on Life In The Theater to a crowd of Penn alumni and friends. He shared the importance of Roundabout keeping theater healthy and robust by producing musicals with the power and beauty of The People In The Picture. And you’ll hear Roundabout’s announcement on Morning Edition when you are still half asleep and already late for work. More about this case-study-in-progress as it unfolds. Perhaps we can get Iris Dart to share some of her observations about the marketing of a musical. Marketing managers of the world, exercise your creativity! No, you don’t have to go to Chicago. Chicago City Limits is actually located in New York’s theater district. It promises to be good fun and a good way to rethink marketing. The event is going to be held in their theater. We’ll be going through mind stretching exercises led by members of Chicago City Limits. Why Chicago City Limits? 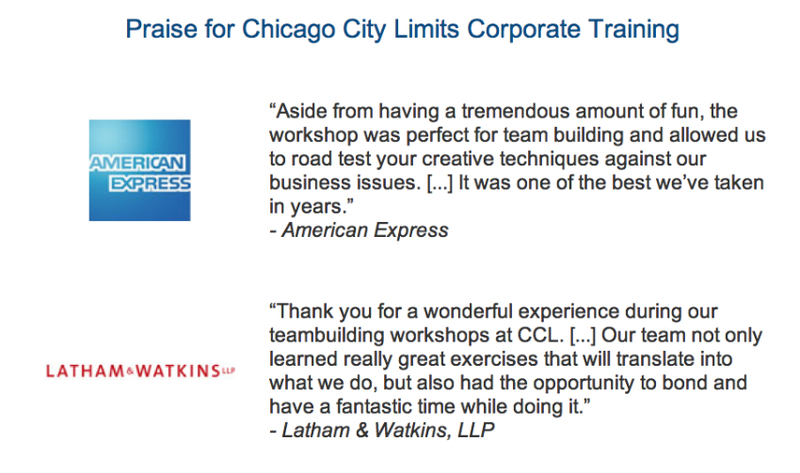 In addition to being a training ground for some very talented actors, writers, CCL runs creativity training sessions for many major corporations. They know their business…and ours, too. Creativity is all about perspective. Creativity gives you a way to look at the world in a different way. Because when you look at the world in a different way, you can come up with new ideas and new answers to old problems. Perfect example: for decades people had been twisting apart their oreos, throwing way the part with only cookie and then putting together the two cookie/creme sides. How did Nabisco respond? They introduced the Double Stuf Oreo. 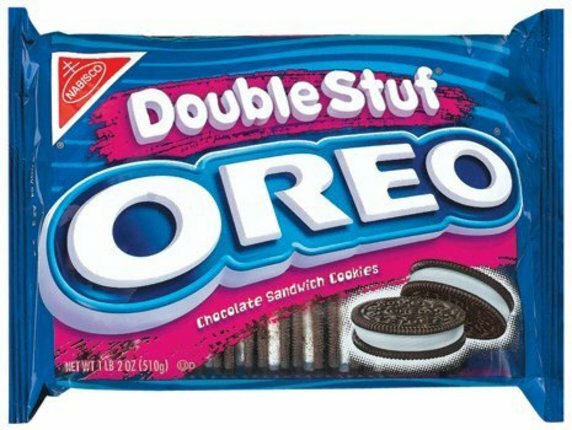 So now, I twist apart my double stufs, put two together and…hey…Nabisco, how about a Quad Stuf Oreo? Correction on David Rogers! The event is this Wednesday, April 13th! Apologies for the mistake! The correct date that David Rogers is coming to the NYAMA’s “Meet The Author” series is This Wednesday, April 13th! 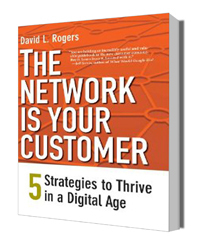 David’s new book is “The Network Is Your Customer” You can learn more about it the easy way by watching David’s video. A complimentary copy of the book will be given to all attendees. To those who haven’t had the pleasure of meeting David at one of Columbia University’s BRITE conferences, then you are in for a treat. I don’t know if he’s going to bring his saxophone with him. Perhaps you can start a petition!